This is Non-OEM part. Fits with various GE brand models. Replace Oem part# WR12X22183. Contact us with your model and serial number and we'll make sure this is the right part for you. Replace for these part numbers: WR12x22183, PS9494525, AP5948588, WR12X20142, WR12X11008, WR12X11009, 3290412. Compatible with these models: GTH17DBD4RBB, GTH17DBD4RCC, GTH17DBD4RWW, GTH17GBEDRBB, GTH17GBEFRBB, GTH17JBD4RBB, GTH17JBD4RWW, GTH18CBD4LWW, GTH18CBD4LWW, GTH18CBD4RBB, GTH18CBD4RBB, GTH18CBD4RCC, GTH18CBD4RCC, GTH18CBD4RWW, GTH18CBD4RWW, GTH18CCD4RBB, GTH18CCD4RBB, GTH18CCD4RWW, GTH18CCD4RWW. Fits with various General Electric (GE) brands: General Electric, Hotpoint, RCA, and Kenmore. 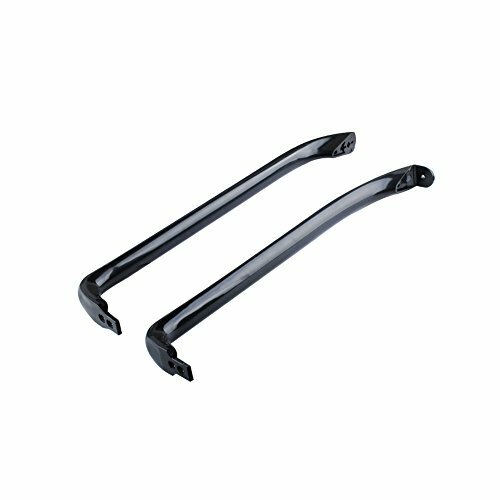 High quality Non-OEM smooth handle kit for GE refrigerator. If you have any questions about this product by Poweka, contact us by completing and submitting the form below. If you are looking for a specif part number, please include it with your message.